Igel released a new version of their UMS software to manage their Igel ThinClients. 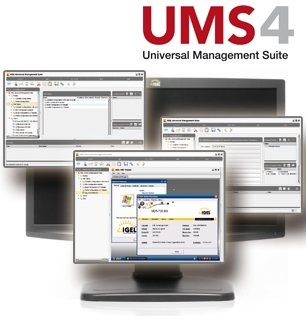 The Universal Management Suite (UMS) is an easy-to-use yet extremely powerful software that allows you to remotely manage your IGEL thin clients so that support costs are kept to a minimum. It is extremely open and network friendly so that it can fit into your organization’s existing infrastructure.